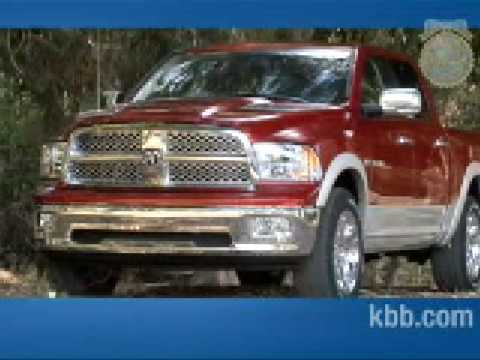 If you like your trucks big and bold, the 2009 Dodge Ram is right for you. The Ram retains its familiar "big-rig" styling, but looks even better thanks to a forward-canted grille and more chrome accents. Dodge RAM - comfortable with some electrical issues. Locking problems on the drivers side door - automatic lock misfires multiple times while driving down the road. Very large and comfortable, roomy enough for the entire 5 person family plus vacation bags. 3 car seats fit in the backseat. Miles to empty appears on the screen, very nice feature. Gas mileage is decent for a truck - low compared to a car which is typical. Amazing truck that makes life just a little easier. I haven't had any problems with my vehicle. It has comfortable seats. Easy to keep clean. I love the style of it. Buy this truck. You will not be disappointed. This truck is wonderful on gas. I can drive hour and 30 minutes on 30 bucks of gas. This truck gets the job done and more. Got kids? Well lots of room to get the car seat in and out. My own cubby hole to store my basics for anytime while we r driving. It is a different need I say more 😎 it has been a good vehicle made a few out of state trips it suits our life style I have. A big family n everyone always calls us to help them out it has served us well it has the best air conditioner it is roomy and to have always loved Dodge they are the best at everything love a Dodge.